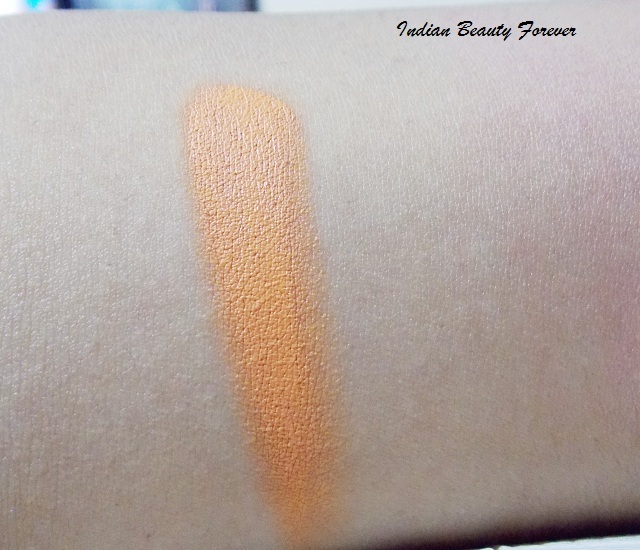 I will review NYX concealer in a jar in the shade orange today. I got this product ages ago and review was still pending even though I have used it quite often. Now, don’t get panicked by looking at the fierce orange color in the jar. It acts like a color corrector and if you have noticed on the color wheel whatever colors are opposite each other they will cancel out. 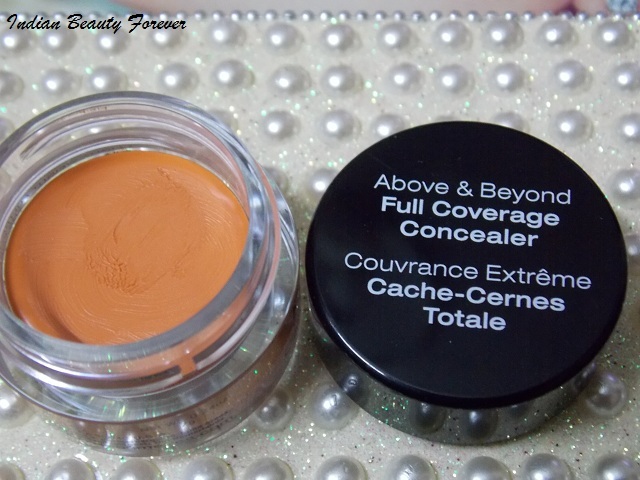 Therefore, if you have serious dark circles that have bluish or purplish hues then this can be the savior to cover them up as the beigey concealer will look ashy on those bluish circles and will not help any better! Price: NYX concealer in a jar costs Rs 600 In India, though if you get this from an international website it should cost you $5 and there are 12 shades available right from beige to yellow to orange to green. Ingredients: Ethylhexyl Palmitate, Ceresin, Cetearyl Ethylhexanoate, Hydrogenated Polyisobutene, Hydrogenated Microcrystalline Wax, Aluminium Starch Octenylsuccinate, Isopropyl Isostearate, Polycyclopentadiene, Isododecane , Sorbitan Stearate, Paraffin, Glycol Montanate, Synthetic Wax, Silica, Phenoxyethanol. MAY CONTAIN / PEUT CONTENIR (+/-): Mica , Titanium Dioxide (CI 77891), Iron Oxides (CI 77491, 77492, 77499), Manganese Violet (CI 77742), Chromium Oxide Green (CI 77288), Ultramarines (CI 77007), Yellow 6 Lake (CI 15985). 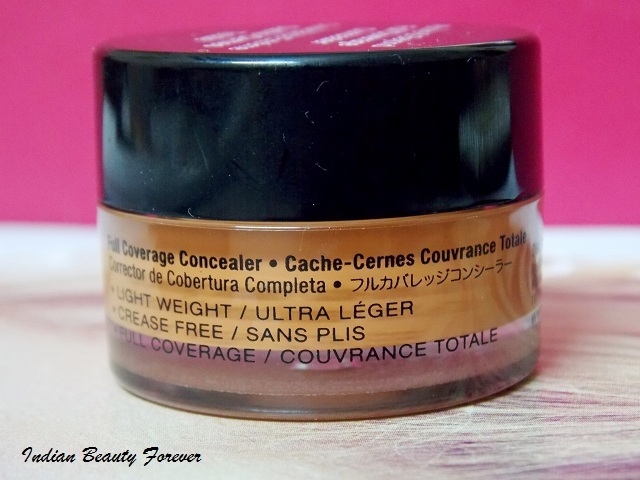 The concealer comes in a cutesy looking jar and is similar in size as that of the Colorbar Full cover concealer except for the Shiny mirror finished lid Colorbar concealer had. I don’t have major dark circles just some shadows that can be easily tackled with BB creams and the foundations. I got this in orange since I wanted to have an orange concealer in my vanity as you never know when you’re going to need anything like that. Moreover, at times when I may be working late and didn’t get enough sleep or due to certain other reasons, there are days when I see some extra darkness, So to cover them up, I wanted to try an orange concealer. To use this you’ll need a concealer brush. Dipping your finger inside the pot isn’t the best idea and in anyways brushes work best to dab the product under the eyes and thereafter you can blend it with your fingers. Orange acts as a color corrector by masking the heavy bluish or purple hues and creating a base on which you can go ahead and apply your regular concealers to further brighten up the area minus the ashyness that could had been a problem, if you won’t have corrected it in the first place with the orange. It stays put for a decent time and will not crease much or wear off once you have set the concealer with a setting powder. It gets blended really well and the texture is creamy enough to let you blend it easily and yet hides the darkness. 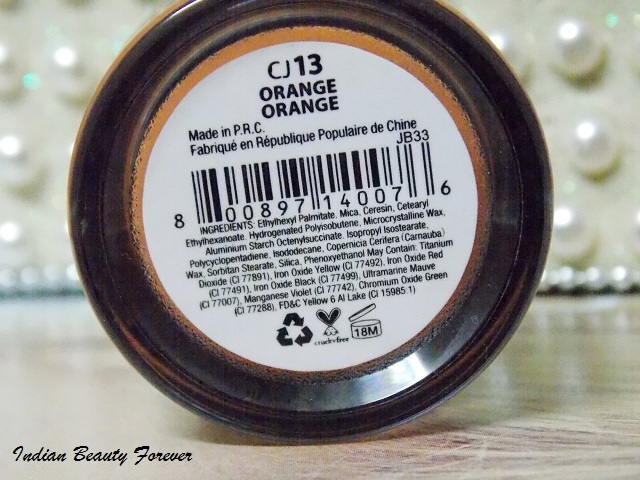 Orange works best for Indian skin tones and even on the duskier skin tones once you had your regular concealer over the orange one, the orange will not peep through under the eyes. 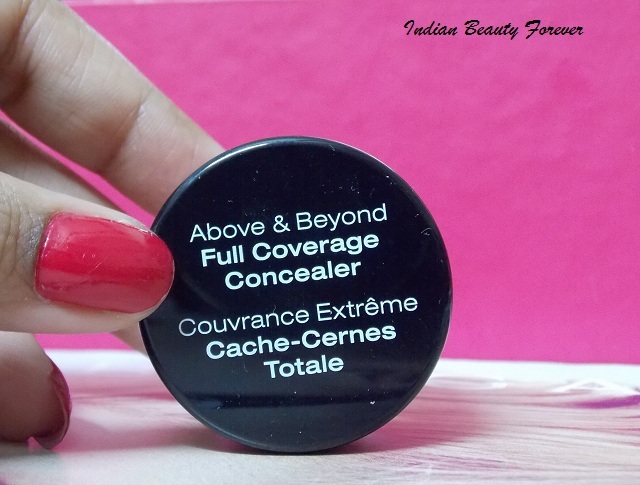 Like the Colorbar concealer it doesn’t get too dry during the winters and its consistency remains pretty much the same throughout the year. I can say this since I have used it during last winter and this summer. 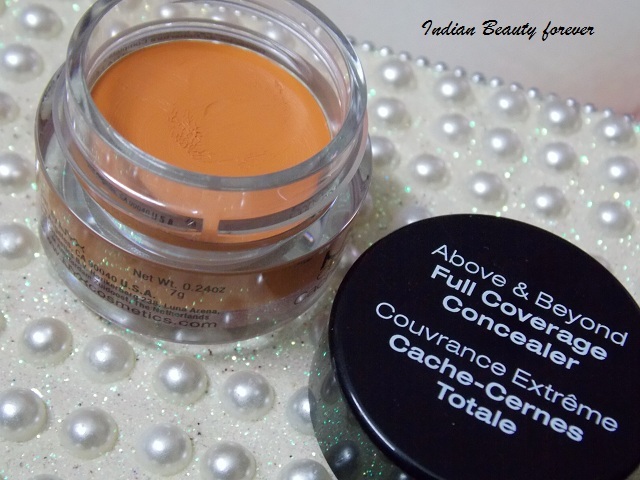 I have done this tutorial here where you can see covering the dark circles with this. Take: If you have heavy dark circles that you want to cover up without looking ashy then this orange concealer can be tried. In India, there aren’t many options available, considering that it is a good buy!